Found 2 file extension associations related to MAXQDA and 2 file formats developed specifically for use with MAXQDA. 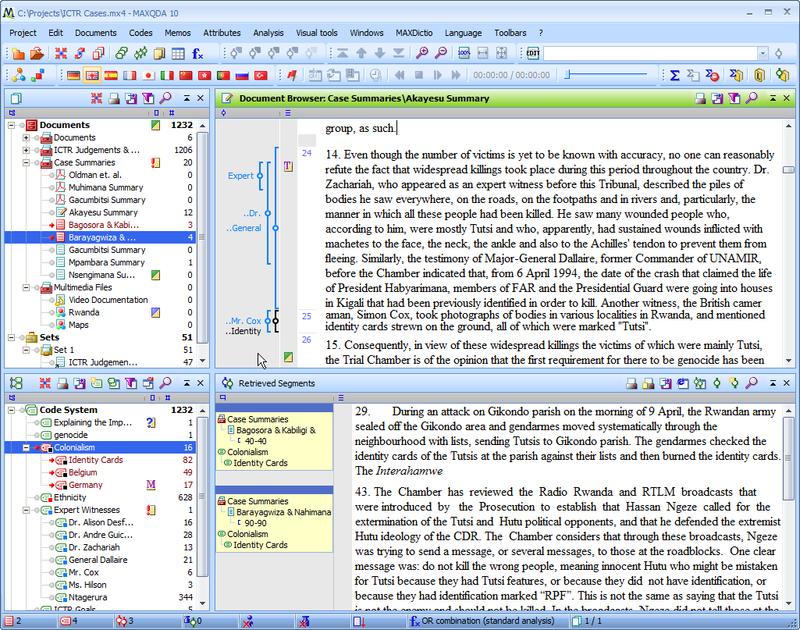 MAXQDA is professional QDA software for qualitative data analysis for Windows and Mac. Since the beginning in 1989 MAXQDA has been a leader in providing researchers with innovative, powerful tools for their research projects. Analyze interviews, reports, tables, online surveys, videos, audio files, images, and even bibliographical data sets with MAXQDA. Organize and categorize your data, retrieve your results and create impressive illustrations and reports. MAXQDA has transcription tools onboard and multimedia functionality to directly analyze all kinds of media files. Outstanding mixed methods features allow for the import of quantitative data alongside the qualitative information and results can be transformed into variables for further statistical analysis. If you need more information please contact the developers of MAXQDA (VERBI GmbH), or check out their product website.